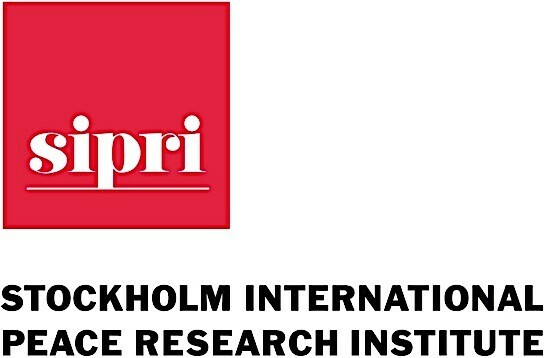 The Stockholm International Peace Research Institute (SIPRI) is an independent international institute dedicated to research into conflict, armaments, arms control and disarmament. Established in 1966, SIPRI provides data, analysis and recommendations, based on open sources, to policymakers, researchers, media and the interested public. Located in Stockholm, Sweden, SIPRI offers a unique platform for researchers from different countries to work in close cooperation. The Institute also hosts guest researchers and interns who work on issues related to the SIPRI research programs. SIPRI maintains contacts with other research centers and individual researchers throughout the world. The Institute cooperates closely with several intergovernmental organizations and entities, including the United Nations, the European Union, the IAEA and the OPCW, and regularly provides support to parliamentary, scientific and government partners. Tel: +46 766 286 137 Dr Ian Anthony (United Kingdom) is Director of SIPRI’s European Security Programme. He has published numerous books on issues related to arms control, disarmament and export control. His subject expertise includes arms control, disarmament, export control, nuclear security, non-proliferation and threat reduction. Tel: +46 766 286 147 Sibylle Bauer (Germany) is Director of Studies, Armament and Disarmament, and the Director of SIPRI’s Dual-use and Arms Trade Control Programme. She has a long record of research and publication on armaments and export control issues, especially regarding the European Union. Much of her work has focused on export control capacity building, in particular in legal and enforcement areas. She also has been Researcher at the Institute for European Studies, Free University of Brussels (ULB) and Visiting Fellow at the EU Institute for Security Studies in Paris and Researcher at International Security Information Service (ISIS). Dr Bauer joined SIPRI in August 2003. Tel: +46 766 286 215 Dr Vincent Boulanin (France) is a Researcher at SIPRI. He joined SIPRI in 2014, where he works on issues related to the production, use and control of emerging military and security technologies, notably autonomous weapon systems and cyber-security technologies. He received his PhD in Political Science from École des Hautes en Sciences Sociales in Paris in October 2014. His dissertation looked at the diversification of the European arms industry into the security realm. His other research interests include the impact of military and security technologies on the practice of security and military professionals and the social construction of threats and risks. Tel: +46 766 286 349 Kolja Brockmann (Germany) is a Researcher in SIPRI’s Dual-Use and Arms Trade Control Programme. He first joined SIPRI as an EU Non-Proliferation and Disarmament Consortium Intern and has been working at SIPRI since 2017. Kolja conducts research in the fields of export control, non-proliferation and technology governance. He focuses on controls on emerging technologies, in particular Additive Manufacturing (3D-Printing), and intangible transfers of technology (ITT). He works on export control compliance in industry, research and academia. In addition, Kolja contributes to the mapping of cooperation and assistance activities relevant to the implementation of the Arms Trade Treaty (ATT) in SIPRI’s Arms Trade Treaty database. Tel: +46 766 286 182 Mark Bromley (United Kingdom) is the Director of the SIPRI Dual-Use and Arms Trade Control Programme. His areas of research include international, regional and national standards in dual-use and arms export controls and efforts to combat the illicit trafficking of small arms and light weapons (SALW).. Further expertise includes the transparency of international arms transfers; the financial value of the global arms trade; the arms export policies of EU member states; EU engagement in arms export policies; the Arms Trade Treaty; and controls on the trade in cyber-surveillance systems. Researcher Dr Tytti Erästö (Finland) started as a Researcher in the SIPRI Disarmament, Arms Control and Non-proliferation Programme in October 2017, focusing on nuclear disarmament and nonproliferation issues. Her recent and current research focuses on the Iran nuclear deal, the Nuclear Weapons Prohibition Treaty, the U.S./NATO-Russia missile defense dispute, as well as the global disarmament and non-proliferation regime. Previously she has worked at the Ploughshares Fund in Washington D.C., Harvard Kennedy School’s Belfer Center for Science and International Affairs, the Vienna Center for Disarmament and Non-Proliferation, and the Tampere Peace Research Institute in Finland. Tel: +46 766 286 233 Vitaly Fedchenko (Russia) is a Senior Researcher with the SIPRI European Security Programme, responsible for nuclear security issues and the political, technological and educational dimensions of nuclear arms control and non-proliferation. Previously he was a visiting researcher at SIPRI and worked at the Center for Policy Studies in Russia at the Institute for Applied International Research in Moscow. He is the author or co-author of several publications on international non-proliferation and disarmament assistance, the international nuclear fuel cycle and Russian nuclear exports. Tel: +46 703 108 865 Dr Aude Fleurant (Canada/France) joined SIPRI in April 2014 as the Director of the Arms Transfers and Military Expenditure Programme. Her research interests focus on the transformation of the military market and analysis of the interaction of supply and demand dynamics. Her publications have mainly addressed issues of countries’ or companies’ adjustments to new market conditions and their consequences. Tel: +46 766 286 323 Noel Kelly (Ireland) is the Programme Coordinator for programmes and projects within the Armament and Disarmament research area at SIPRI. These include the Arms Transfers and Military Expenditure Programme; the Disarmament, Arms Control and Non-proliferation Programme; the Dual-use and Arms Trade Control Programme; and a project on emerging military and security technologies. He provides planning and project support to researchers and manages day-to-day administration. He also contributes to SIPRI’s research on arms embargoes, arms production, arms transfers and military expenditure and helps maintain SIPRI’s databases on these issues. Noel Kelly joined SIPRI in October 2007. Tel: +46 766 286 228 Shannon N.Kile (USA) is a Senior Researcher and Head of the Nuclear Weapons Project of the SIPRI Arms Control and Non-proliferation Programme. His principal areas of research are nuclear non-proliferation and arms control, focusing on developments in nuclear doctrines and weapon technologies. Mr Kile has contributed to numerous SIPRI publications, including chapters on nuclear arms control and world nuclear forces for the SIPRI Yearbooks since 1994. In recent years his work has broadened to include regional security issues related to the Middle East and Northeast Asia, with a special interest in North Korea. Tel: + 46 70 980 78 03 Alexandra Kuimova (Russia) is a Research Assistant with the SIPRI Arms Transfers and Military Expenditure Programme. Working with SIPRI Military Expenditure, Arms Industry and Arms Transfers Databases, Alexandra focuses on developments in the Middle East and North Africa region, and Post-Soviet states. arms procurement and military expenditure in the MENA region and Post-Soviet states. Tel: +46 766286126 Giovanna Maletta (Italy) is a Research Assistant in the Dual-Use and Arms Trade Control Programme, following an EU Non-proliferation Consortium internship at SIPRI. Her research interests include trade compliance and enforcement issues with a particular focus on the dual-use and arms export control policies of EU member states. Her work also includes mapping cooperation and assistance activities relevant to the implementation of the Arms Trade Treaty (ATT) and activities related to SIPRI’s participation in the EU Non-proliferation and Disarmament Consortium. Prior to joining SIPRI, Giovanna worked as a Blue Book Trainee in the Disarmament, Non-proliferation and Arms Export Control Division of the European External Action Service (EEAS) and an Intern in the International Cooperation Branch of the Organization for the Prohibition of Chemical Weapons (OPCW). Tel: +46 76 628 6176 Nan Tian (South Africa) is a Researcher with the SIPRI Arms Transfers and Military Expenditure Programme, where he is responsible for monitoring and managing the SIPRI Military Expenditure Database. His research interests focus on the causes and impact of military expenditure and civil war. His doctoral thesis is titled ‘Military Spending, Conflict and Development’ and explores the relationship between military spending, civil conflict and economic development. He previously worked at the World-Wide Fund for Nature (WWF) as an economist on climate change and was a lecturer at the University of Cape Town, South Africa. Senior Researcher Dr Petr Topychkanov (Russia) is a Senior Researcher in the SIPRI Disarmament, Arms Control and Non-proliferation Programme. Petr works on issues related to the nuclear nonproliferation, disarmament, arms control, and impact of new technologies on the strategic stability. From 2006 to 2017 Petr Topychkanov was a fellow at the Carnegie Moscow Center’s Nonproliferation Program. Prior to joining SIPRI in 2018, Petr held the position of senior researcher at the Center for International Security at the Primakov National Research Institute of World Economy and International Relations of the Russian Academy of Sciences. He has been an expert at the Russian International Affairs Council since 2014. Tel: +46 766 286 192 Pieter D. Wezeman (Netherlands) is a Senior Researcher with the SIPRI Arms Transfers and Military Expenditure Programme. His area of research is the global production and proliferation of conventional arms with a special focus on military expenditure and arms procurement in and arms transfers to the Middle East and Africa. He also monitors multilateral arms embargoes and maintains the SIPRI database on that issue. Tel: +46 766 286 197 Siemon Wezeman (Netherlands) is a Senior Researcher with the SIPRI Arms Transfers and Military Expenditure Programme. His areas of research include the monitoring of arms transfers, with particular focus on the Asia–Pacific region and North America, and the use of weapons in conflicts. He also researches military technology and transparency in arms transfers. Since 1992 he has worked with the SIPRI Arms Transfers Programme.